When depression takes hold of Helen it feels like she is drowning in a pool of water, unable to swim up to the world above. 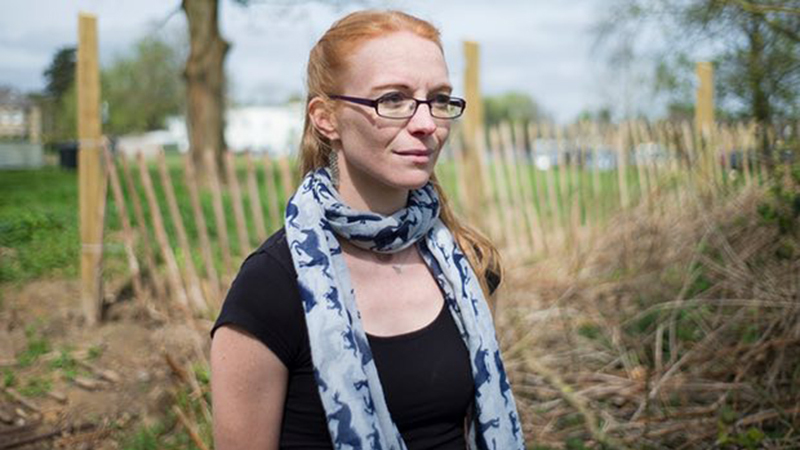 The 36-year-old former nurse has had mental health problems most of her life. No drugs, hospital stays or therapies have been able to help. Then one day, during yet another spell in hospital, her consultant told her about a psychiatrist treating patients with ketamine. The psychiatrist in question visited her to discuss using the drug. He warned there were no guarantees, but it had helped some patients. Since then Helen’s life has transformed. Sitting on a bench in the grounds of the hospital where her treatment began a year and a half ago, she lists everything she can do now that she could not before: take her kids to school, give them hugs, go on coffee dates. “I am managing my thoughts and that is what ketamine helps to do. It slows down my thought process so instead of being completely overwhelmed by all these immense negative thoughts and feelings … I can think, stop and breathe,” she says, nervously pulling her sleeves over her hands as she talks. Helen is not the only person changed by ketamine. For Keith, a 64-year-old former businessman, who is also at the hospital, it has helped where other drugs have failed. He has been on it for three years to treat bipolar disorder. He explains that he has taken an infusion of the drug that morning, which is why he is so chatty. “I take an infusion intravenously in hospital once every six weeks and then I have 10ml which I take orally twice a week at home. I go out afterwards and do things like gardening. When I am depressed I don’t want to do anything. All I do is sit on the sofa and watch TV shows like Bargain Hunt,” he says. 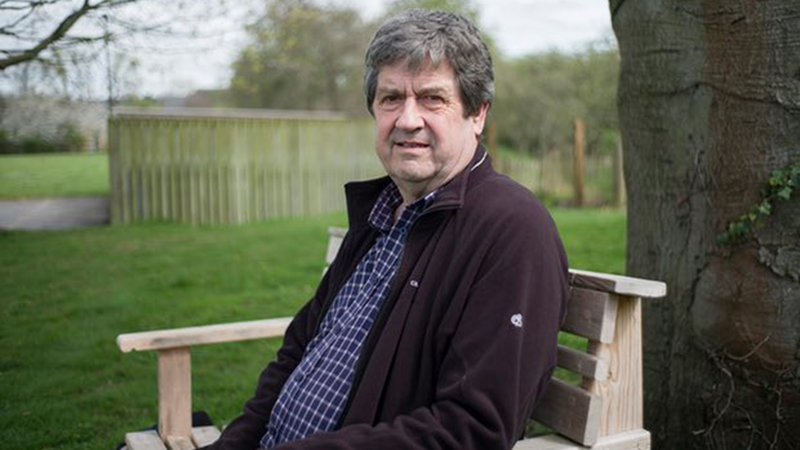 Keith credits ketamine with helping soften his depression, such that he now has good days as well as bad ones. “My wife gets her husband back for those few days when I am normal – well, whatever normal is,” he says. There is increasing evidence that ketamine, often thought of as a party drug of abuse, is an effective and powerful antidepressant. Helen and Keith are patients at Warneford NHS hospital in Oxford where Dr Rupert McShane leads the UK’s only ketamine treatment centre. It caters for people for whom other antidepressants have not worked. McShane is not the only doctor who has been experimenting with the drug – other UK hospitals have given it to patients as part of clinical treatments. Doctors are able to prescribe it because it’s a licensed anaesthetic. But they have to use it “off label” for people with mental health problems. No one knows exactly how it works for depression, but as a “dissociative” drug it can alter people’s perceptions of the world. The drug may work by breaking “the reality” for people with depression. It could disrupt recurring negative thoughts patterns. In Oxford, over the last six years, 42% of their 101 patients have showed a useful improvement after taking the drug. This is significant given that other medication has not worked for these people. Ketamine is usually not taken on its own. Most patients also get therapy and some use other medications too. Despite promising findings, however, there are some limitations. It’s not as easy as taking a pill. Patients at Warneford get regular 40-minute intravenous infusion sessions under hospital supervision. They are also given oral ketamine to take twice weekly at home, with the possibility of further “top-up” infusions. The drug company Johnson and Johnson is making an intranasal spray form of a related drug, Esketamine, but it is a few years off production. There is also not yet enough knowledge about the long-term effects because trials are in such early stages. The drug is also commonly linked with abuse, and can lead to addiction. McShane is calling for specialist clinics using ketamine to track progress through a national and international register. When used at a high level of several grams a day, bladder problems occur and cognitive function is impaired. But the dose used in treatment centres is much lower. Helen explains that in her experience the side effects are pretty minimal, especially compared to other antidepressants she has tried. She says the impact varies depending on how you take the drug. “If you take it orally your head may feel foggy and you could lose your balance. Another patient, Hazel, 36, says that after taking ketamine she usually feels a bit tipsy. “In the past it has had an even bigger effect on me and made me feel high for about an hour.” But she notes that she doesn’t feel like it wears off between doses like some drugs. Most patients finding it effective see any limitations as insignificant considering the benefits. Hazel, who has struggled with depression and anorexia since her teenage years, now feels able to take pleasure in things again. “I have more energy and I can think about the future and do stuff with friends,” she says. For some it goes further than that. Karen, a 42-year-old teacher, credits the drug with saving her life when she was suicidal. She says she took it when she was at her “lowest ever ebb”. Thanks to the drug she has now been able to return to work. Psychiatrists have said that ketamine could be particularly useful in emergencies where someone is suicidally depressed. As someone who has spent her life in and out of hospital, Helen knows the damaging effect of depression. She reflects on the friends she has lost to mental illness. “I recently lost a couple of people to suicide because they were not getting the help they needed. Another friend just woke up from a nine-day coma and we were this close to losing her,” she says, visibly upset. She adds that ketamine has radically changed her life and she believes it could do the same for others. “This is the longest I have been out of hospital,” she says. More importantly, for the first time in a long time, Helen is hopeful. The mother of two is optimistic that she may now be able to make steps towards going back to work. She trained to be a nurse in her 20s, but never got to practise because of poor mental health. McShane says widespread use of the drug could become a reality, although it is unlikely to be prescribed by GPs like other antidepressants. 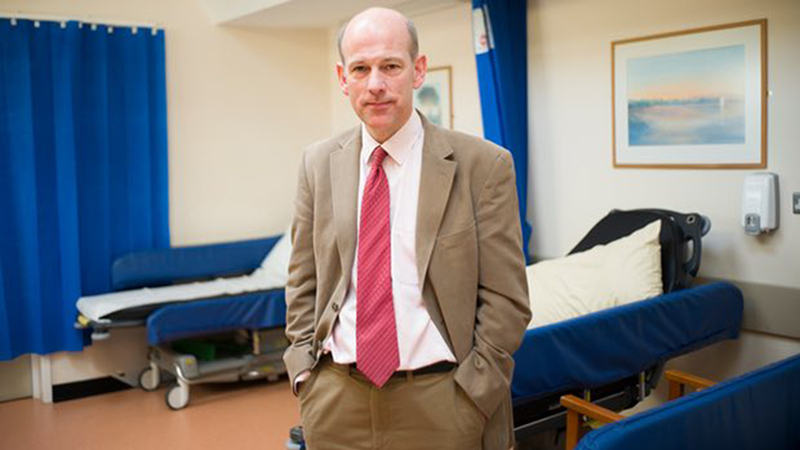 “It is possible but not inevitable that ketamine will eventually find a place in NHS secondary care treatment of resistant depression,” he says, adding that for this to be routine they will need to have worked out how to maintain the benefits safely. He warns, however, that for the drug to reach its potential it must be robustly monitored. Without this he fears ketamine could easily go the way of previous powerful psychiatric medical treatments: overuse, backlash and stigma.